New Live Download To Be Released Tomorrow! How about a little Born In The U.S.A.? The shows keep on coming about once a month and seem to follow in the order of the tours! Thanks to Backstreets.com for the heads up. 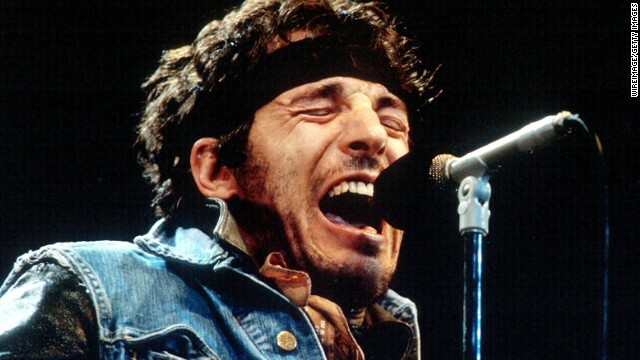 "Wednesday, May 13, will bring the next installment of Springsteen's Live Archive series, and the first full concert recording from the Born in the U.S.A. Tour: August 5, 1984. This was the opening night of Bruce and the E Street Band's ten-night New Jersey stand at the Meadowlands from early in the 1984-'85 world tour. Brad Serling from nugs.net tells us, "The big news with this one is its our first DSD release — an audiophile format that's 64x the resolution of a CD." We'll have more details tomorrow, when you can also hear Brad talking about the new release on SiriusXM's E Street Radio, guesting with Dave Marsh on Live From E Street Nation. The program airs from 10am-12pm Eastern and will be followed by a full play of the 8/5/84 Brendan Byrne Arena concert beginning at noon Eastern/9am Pacific."